Rosebank. To some people, it means nothing. To others, it is one of the legendary closed distilleries, which ceased business decades ago. The great whisky writer, Michael Jackson, once described the whisky from Rosebank as the ‘finest example of a Lowland malt’. I’ve reviewed a Rosebank before, so you can read a little about the history of the distillery in that post. But essentially Rosebank ended up being mothballed in 1993, and it never fully became economically viable to resurrect it. Although you can still buy the site – you would have, in theory, been able to bring the distillery back to life, except for the fact that thieving bastards stole the stills for the copper, thus denying Rosebank the chance to rise like a phoenix from the kiln. 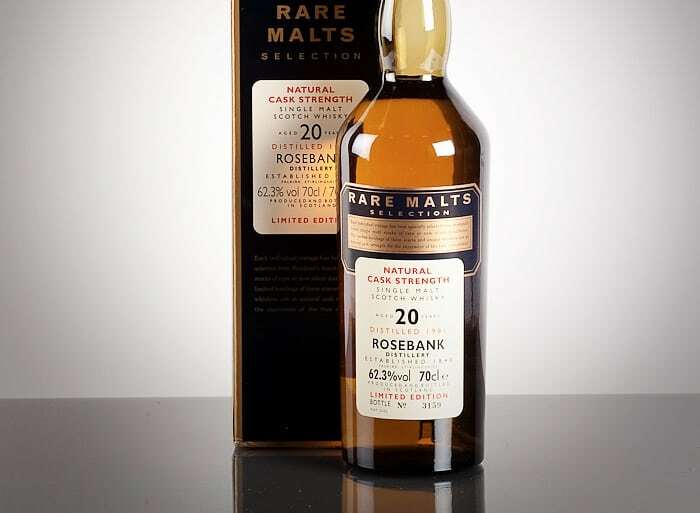 So, as this particular Rosebank whisky is part of the famous Rare Malts Selection, I’ll talk a little bit about that series instead. It’s really worth a post of its own. 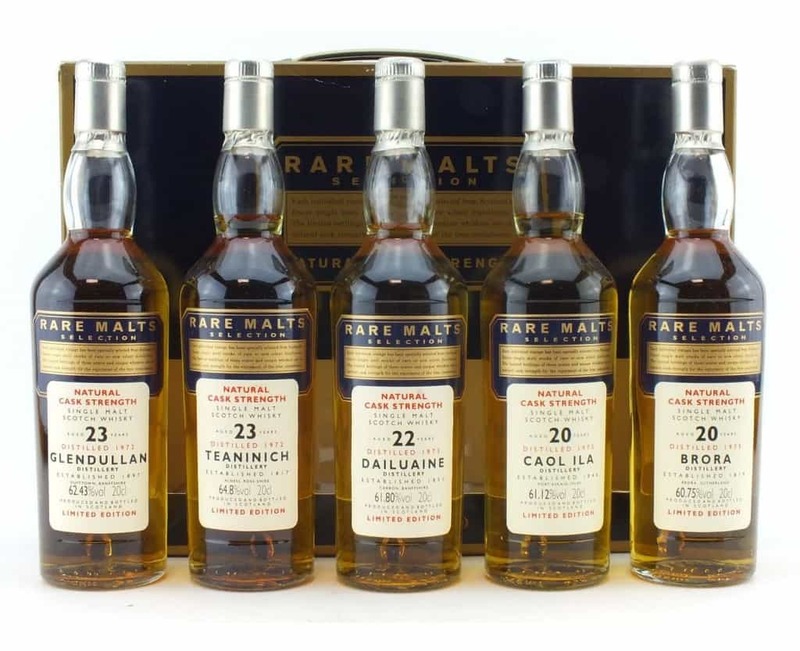 The Rare Malts Selection series was released by drinks giant Diageo in 1995. Since then, its bottles have become highly prized by whisky drinkers and collectors alike. Now liquid history, the series consisted of old ‘venerable’ whisky from both functioning distilleries and the immensely collectible closed distilleries, and so at auction today you’d be looking to pay anything from around £160 to many hundreds of pounds a bottle, depending on what it is. A man called Mike Collins, who was behind whiskies such as Johnnie Walker’s Blue and Green Label, created the Rare Malts Selection. Wary of the varying quality of 1990s rare single malt whiskies, he wanted to create a brand that was full of not only old whiskies, but very well-chosen whiskies – and it’s certainly a fact that many of the whiskies won awards at the International Wine and Spirits Competition. Diageo’s then master blender, Maureen Robinson, selected the casks. After the range was release, it was looked after and developed by Jonathan Driver and Dr Nicholas Morgan. The series was initially intended for the global duty free market, then went just about everywhere – and at very, very reasonable prices too. Prices so low by today’s standards, in fact, that you’d probably weep. The whiskies themselves came from the ‘trade’s revolutionary period from 1969 to 1981’, and spanned from 18 to 30 years old. By the time the selection was discontinued in 2005, 121 bottles from 36 distilleries were released in all. If you’d like to read more about these whiskies, I recommend the excellent book Rare Malts: Facts, Figures and Taste by Ulf Buxrud, which is available second-hand. 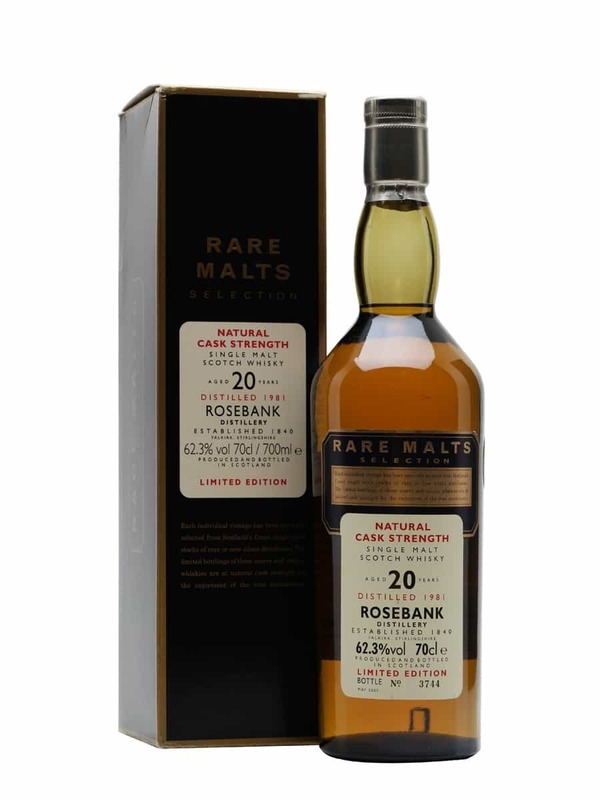 This Rosebank was distilled in 1981 and bottled in 2002 at 62.3% ABV. 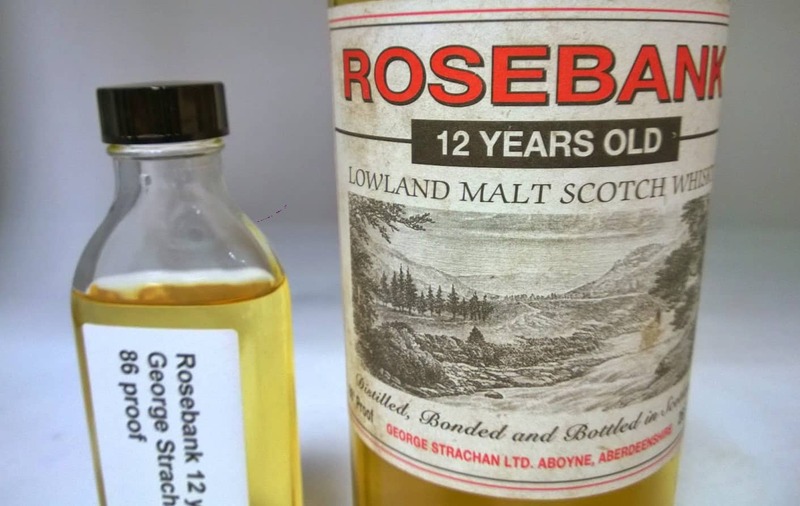 A bottle of this particular Rosebank from the Rare Malts Selection will probably set you back over £300 at auction, but if you’re buying straight from a retailer than expect to pay £550 a bottle and later be shouted at by your better half. As this was a sample from fellow whisky colleague, Whisky Rover, I tasted it blind and had no idea what it was. Colour: yellow gold, with a tinge of light honey. On the nose: gentle, strange, beguiling. There’s a solvent quality at first, which gives way to something very floral. Ashy, but not smokey. Seaweed. Boiled spinach. Coastal trawlers puttering by on a spring morning. Definitely maritime notes. In the mouth: gentle ashes, lemon curd, sea spray. There’s a chilli pepper heat to this. Salted caramel. The texture is curiously light – Lowland in character – and yet there’s a huge amount of flavour from it. The ashes become mixed up with bitter wood, but it’s not unpleasant. Floral. Honey. What an interesting combination though. Citrus sourness hangs about quite a bit, mingling with that wood. It’s slight in stature, but aggressive. A bit like an angry Robert Carlyle. i’m so so jealous right now – Rosebank is my favourite, no longer with us, distillery. I love it sooooo much. Great advice on looking out for this fabulous Lowland lady and the Caol Ila tip is bang on too. During my time in the whisky community I’ve been struck by the warm welcome and generosity shown almost universally. This sample is a case in..